The Boston Flower & Garden Show will once again transform the Seaport World Trade Center into New England’s largest greenhouse from March 14-18, 2018. 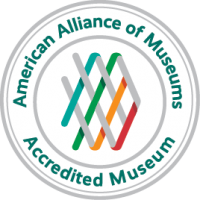 And the Springfield Museums will be in attendance, showcasing the first and only museum dedicated to Springfield native Theodor Seuss Geisel, aka Dr. Seuss. The Cat in the Hat statue given to the Springfield Museums by the Children of the Springfield Schools will hold court surrounded by a giant red and white striped arch, panels with a variety of Seuss characters, and a giant book telling the story of Ted Geisel in Springfield and the making of the Amazing World of Dr. Seuss Museum. Come celebrate the creativity of Springfield’s native son as you enjoy the inspiration and creativity of master gardeners from throughout Boston. 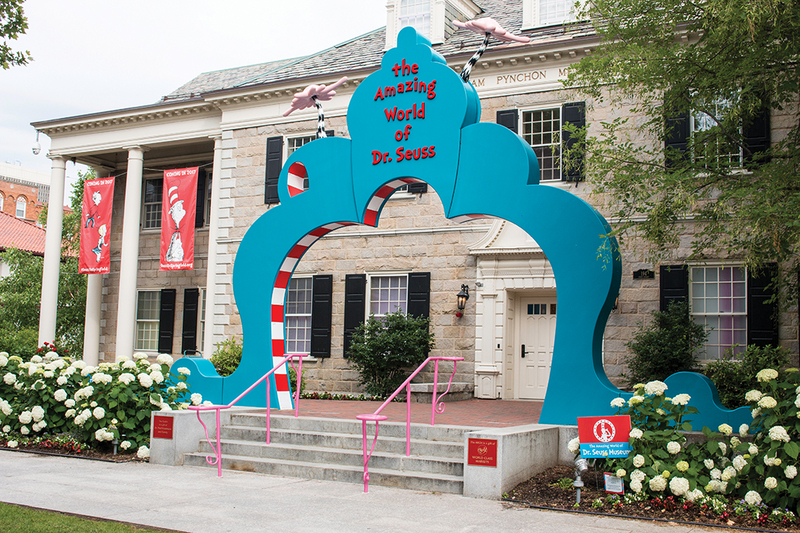 Take a selfie and label it #SeussInSpringfield and you might find yourself featured on the Museums’s social media. Colorful life-sized gardens and unique floral designs will “Savor Spring!” – this year’s Show theme – by incorporating elements of the popular food gardening trend. Included will be organics, small-space gardens, homesteading hobbies, edibles-as-ornamentals and family-friendly spaces for outdoor dining and entertaining. “Enjoy the first taste of spring at the Show. Gather all of the recipes and ingredients you’ll need for a year of successful gardening,” said Carolyn Weston, Boston Flower & Garden Show Director. The Boston Flower & Garden Show is about inspiring, educating and motivating the region’s gardeners. Whether for curb appeal, backyard, kitchen, rooftop or community gardening, this is where New England’s green lovers and families go to discover ideas while having fun. Gardens & Displays: Experience lush landscaped garden designs, innovative plantings and eco-design concepts from premier landscapers, nurseries and horticulturalist organizations, all competing for prestigious honors awarded by credentialed judges. The Garden Marketplace: The ultimate shopping experience for garden-related products and services! Shop 200 vendors. Featured products and services include garden tools and furnishings, landscape services, botanical décor and floral themed gifts and accessories… as well as thousands of plants, seeds, bulbs and cut flowers! Florist Invitationals: Gaze at grand, elegant designs created by the region’s top professional florists for the Window Box Invitational and the Florists Invitational. Amateur Competitions: Competitions set to the “Savor Spring!” theme, amongst the region’s top amateur floral arrangers. Coordinated by the Garden Club Federation of Massachusetts and the Massachusetts Horticultural Society. FREE Lectures & Demonstrations: Grow your knowledge at hourly lectures from noted professionals on landscaping, edible gardening, plants and flowers. From master gardeners to master chefs, daily how-to classes and cooking demonstrations will be at the GEICO Demo Stage. A complete schedule will be posted on www.BostonFlowerShow.com. Ask the Experts: Vexing garden issues? From soil typing to insect treatments, master gardeners will be on hand to share their expertise. Little Sprouts Activity Center: Children’s activities center features arts & crafts and garden fun. FLOWER SHOW AFTER DARK: Receive a $5 discounted admission after 5:00pm on Wednesday through Saturday evenings for Flower Show After Dark, an unique opportunity to get up close and personal to the garden displays and also enjoy an array of scheduled adult horticultural-based activities. After Dark tickets must be purchased onsite at the box office. PREVIEW PARTY: On Tuesday, March 13 enjoy an exclusive and intimate first look at the 2018 Boston Flower & Garden Show. Heavy hors d’oeuvres and wine will be served, and live entertainment will be provided compliments of Mix 104.1. Receive a ticket to return to the show (March 14-18), a $20 value. All proceeds benefit The Genesis Foundation for Children. Group discount tickets are available for advance purchase in quantities of 15 or more. Visit www.BostonFlowerShow.com for more information and to purchase tickets. The Presenting Sponsor is Subaru. Supporting Sponsors are GEICO, Renewal by Anderson, David’s Teas and T-Mobile. Presented by Paragon Group Exhibitions & Services.